Serious traders know education is imperative for success. While there is no shortage of books and training resources available, one alternative route to such information gathering is via courses. Knowledge is the key to success – whatever your experience. Spread betting is a relatively new financial product compared to shares dealing so you might be better off getting some organised trading education. But even more, education and spread betting courses are key when it comes to trading leveraged products like spread betting. This is because with spread betting being a leveraged product, gains and losses are magnified in terms of returns on investment when compared with conventional share trading so education is crucial in terms of making traders and investors aware of the risks that leveraged trading poses. To be a trader you need time, commitment, patience, knowledge and the right skills to be consistently profitable. If you don’t know what you are doing then the market will teach you a very harsh lesson. Most spread betting brokers run regular webinars and trading seminars to explain the workings of spread betting and what clients need to look out for. These courses are primarily geared towards private investors and designed to help new traders familiarise themselves with the trading product – although mostly these training classes are limited to coaching you on how to use the broker’s platform or how to place trades. However, I would still suggest anyone new to trading to register for one or two of these courses, which are free for account holders to attend. 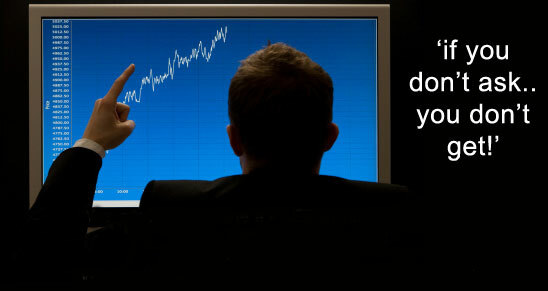 Some are even held outside London and usually focus on trading fundamentals, technical analysis and risk management. Other subjects covered included trading styles and asset classes, with modules such as short term trading, swing trading, position trading, and investment theory for stocks and currencies. However, sometimes I wonder about all those companies that are desperate to give free trading lessons for spread trading – it definitely must be because a high profit game for them, but not the speculators who use their sites. It’s not a case of people being ripped off, no more than if they log onto Betfair and put a punt on Liverpool to be relegated – it’s just that without exceptional market insights most spread betters are unlikely to make money long term. Remember that 6% of human populations are psychopathic. That is not to say that they are raving murderers but does mean they will take advantage, sometimes psychological but usually economic, of their clients. Greg Seckers is just such a psychopath, in common with most in the tipping and ‘advice’ business. Monies paid are rarely recoverable as the law, and even newspapers carrying their ads, regard these as cases of ‘buyer beware’. The obvious question is: ‘”Why would these pundits sell their ‘information’ when they themselves could use it to make even more trading the markets or punting the ponies?” People are naive, sheepish and trust the written word, just as they trust governments and their unified lies about 9/11, the Bin Laden phoenix, vaccine safety, fake ‘epidemics’ etc., etc. Learn to think (and trade) for yourselves folks! Is the trader course run by traders, rather than trainers? Do the traders have experience? Do they have a track record? Have the trainers been able to make money irrespective of the direction of the market? Will the methods you learn be customised to your own personal circumstances? You simply cannot take someone else’s strategy and adopt it. Everyone looks at the charts differently. You will never see it exactly as I see it. Therefore I can’t just ‘teach’ you my strategy. You need to develop your own one over months or even years. Having said that some people can read books and apply the strategies therein, others cannot. From my own experience, there are people to whom you can give a guideline, etc. and they will follow it; and there are others who require hands on guidance. However, I think people should at least try reading a few books (such as Benjamin Graham and Peter Lynch books) and check out the basics on sites like this site, etc, before rushing into any course. Most spread betting providers nowadays provide a variety of tools and services to help traders whether they are a novice, expert, or somewhere in between. The free seminars hosted by spread betting companies are often quite worth attending, even if the whole idea of the seminars is to get you trading. Not only are you able to get a much better feel for the company, and check the company’s premises and dealing rooms along with meeting your account manager and dealers but the free seminars will also teach you core subject issues like money management, about how not to blow your account, risk management, stop losses, psychology and some basic technical analysis methods. These workshops not only cover themes requested by clients, but also give investors the opportunity to share trade experiences. There are always opportunities for question and answer sessions that are useful as well. If you are invited to attend free Technical Analysis courses, please be aware that third party companies often run these and you will receive limited information followed by an ’invitation’ to attend other much more substantial courses that of course attract a fee. Indeed thanks to the internet, there are a huge number of free resources out there for traders – the trouble is sorting the good from the bad. Having said that I’m not at all impressed with the paid spread betting seminars and trading systems currently available on the market. The ONLY thing I seem able to find are spread betting courses that cost several thousand dollars and judging by reviews are nothing more than an effort to continue getting you to fork over MORE thousands of dollars endlessly and the ‘education’ is worthless. I even considered attending a “Rich Dad” trading seminar in my area but found out that it was just another one of these “questionable” programs (and it dropped my former high opinion of Rich Dad/Robert quite a bit!). I have no problem spending money to learn, but I will NOT participate in an otherwise useless, endless, fruitless ‘extortion’ programs. Nowadays, most spread betting companies offer some kind of tuition whether it’s the opportunity to try a demo trading account or free guides and updates. If you understand that paper trading doesn’t carry with it the psychology and pressure that comes when you have real money at risk I would advise you to use it, it only to get a feel for how the platform and spread betting works. Also, beware that while all spread betting providers will offer some kind of training and most trading booking make reference to risk/reward trading strategies, these might not work if you have only a small capital amount. It seems that there are no credible sites that take a “noobie” from absolutely zero knowledge of trading to learning step-by-step. I have read several books regarding trading, but nothing ‘gets your feet wet’ by actually doing some trading online. A frequent question is whether there is any need for additional training or to attend spread betting courses once you have a basic understanding of spread betting, and are capable of putting together your own trading plan. You wouldn’t enter into any other form of job without training or education so why do it with trading where you stand to loose a lot! If it’s proper education it will pay for itself in very little time! However, everyone is different and the answer really depends on you; some people simply find it easier and more sociable to get started by attending a seminar. Keep It Simple…is what most new traders initially try and the outcome is that they mostly lose money. They lose money because they think trading is simple when in reality its anything but simple. They think they can outperform the mega traders of Wall St with little effort and no training in spite of the fact that the mega traders have had years of professional training with $billions of resources backing them up. If simple is good why do Goldman’s spend billions on complicated computer trading systems and training their traders and analysts. If it’s so simple why are most of us still here instead of living on a Caribbean Island? If it’s so simple why did I lose £10k in my first couple of year trading. After all, I bought low to sell high and what could be simpler than that. Unfortunately low went lower and lower. If simple is so good why am I making more money every year as I learn about more complicated financial ratios, fundamentals and technical analysis. If simple is so good Why is VanTharp in business. If simple is so good why do people spend money on training and mentors before they start making money. If KISS works why is there more than one indicator. If KISS works why do all indicators give long term 50:50 win lose ratios. If simple is so good why does no one m/a make consistent profits on the forex markets. Of course you shouldn’t over complicate things beyond your ability to make use of the information but Keep It Simple maybe one of the biggest load of tosh ever proposed to traders. I’d give a system 6 months before I’d even consider commenting, unless I’ve back tested … but none of them do. These systems selling for under £500 …. If you’re considering trading you would see this as a small price to pay for ‘financial freedom’. Yet I can’t see any of them delivering what they promised, the system sellers prey on the naive knowing it won’t be questioned because you are inexperienced. But that’s another £500 in the bank. I think anyone could write a trading system and sell it, it’s easy, too easy! I’d pick any technical indicator, show you 5 examples in which it made a good trades. But I won’t include the other 45 that failed. Of all the trading systems being sold on the internet, look hard enough and you’ll find the pdf’s somewhere, and virtually all of them are rubbish because they just show trade entries and nothing else. That said I don’t think the same about traders writing books or trading mentors, I have the greatest respect for most of them. Showing attitude is a greater gift than knowing good entry signals, but how do you teach that? I don’t think you can – it comes with experience. I’ve read loads of good books on the subject, I understand the material it but it still takes a while to sink in. Each trader is ‘unique in their own way’, and that in my mind makes them successful so don’t buy their system because it ain’t going to work for you. But why do some stock market trainers opt to teach if they are that good at trading? All I can say is I trade from home and by the end of the day I’m talking to the walls for want of some company, trading can be very isolating, the instructors I have had have all said that it’s the social aspect more than anything that gets them teaching. David Jones, chief market strategist at IG Index notes that the idea that a spread betting company is like a bookmaker that stands to win from a client’s loss, while a popular misconception ten years ago, is simply wrong and that they want clients to trade successfully. There are many advantages to continued training and to mixing with other traders, but once you have the basic principles you could just continue spread betting on your own. The reasons that most traders decide to go the route of continued education are many. I believe that the biggest benefit from taking part and completing a good course, in any area, is that it gives you confidence, which is crucial in every profession! Not everybody needs that. Some experienced traders are pretty much self-taught individuals who can achieve great things on their own or with very little support. However, there are others who may be on the right track but they are hesitant to solely trust themselves and go on, particularly when starting out when they lack trading experience. It is likely that your spread betting provider has a basic trading course available online, either via spread betting webinars, or in live seminars. Many provide ongoing training, and this is often free for account holders. Certainly as there is no financial disincentive with the free option, you should consider taking whatever training is offered. The way you might like to think of it is this. There are very few businesses where you do not need training and qualification in order to take part and to succeed. For instance, if you wanted to be an engineer or a doctor, you would study for several years and need to pass examinations before you could be trusted to do a competent job. Because spread betting is so easy to get into, many people do not bother to educate themselves properly but just forge ahead placing bets, sometimes winning and sometimes losing. How you pursue spread betting as a career or as a supplement to your regular work is up to you. Ongoing training is no less than you would expect of an engineer or a doctor, and is an important way of keeping up with the latest trends, as well as filling out the details of concepts that you have heard of previously. Attending trainings from time to time is a way of ensuring that your approach keeps up with the latest thinking. Besides, a good training course, particularly one from an experienced trader, although it may reiterate the same principles, trading strategies, tactics etc gives the student the extra boost to make a decision to open or close, or pyramid his trade because he learned how to do it from a bigger and better one! Simply it adds weight to what he already knows or to what he can learn for free! How much one is willing to pay for that is a personal matter! There is nothing quite like meeting a group of like-minded people, and networking in discussion groups. Spread betting, and trading in general, can be a very lonely occupation, as is often done sitting in front of a computer with no live human contact. When you go to a seminar or a training course, you are with like-minded people who are willing and eager to learn more techniques, and discuss their tales of success and failure. The education that you receive, if you have chosen your course carefully, will enhance your trading performance, but the camaraderie you will experience mixing with other traders can also lift up your profits. For these reasons, most successful traders find that they enjoy continued education, and that it improves their trading. Always look for the spread betting courses who can give you the added value you are looking for, the courses which can answer questions like: How to develop a trading system? How to deal with entry and exit points – in particular when to cut off trades? How to deal with psychology issues and risk management? Full information packs and demo CD’s, dummy software trading platforms etc., are all supplied by most dealers/brokers free of charge. All you need to do is request online or by email. You may [if you wish] open an account online in a matter of minutes.